At the time of its bankruptcy filing, Shopko planned to close about 100 of its 363 stores. But last week, the company more than doubled the number of planned store closures to more than 250. This dramatic move casts doubt on whether the company can survive at all. If Shopko fails, Kohl's (NYSE:KSS) will be well positioned to cash in on its demise. Shopko currently has 134 full-line stores averaging 80,000 square feet in size, making them about the same size as a typical Kohl's store. It also operates more than 170 Shopko Hometown stores -- which range from 15,000 to 35,000 square feet -- in smaller markets. The company's store base is heavily concentrated in the Midwest. Most of Shopko's merchandise selection resembles that of a department store. But in addition to selling apparel, footwear, jewelry, and home goods, many Shopko stores also have grocery sections, optical departments, and pharmacies, though it decided to exit the pharmacy business when it declared bankruptcy. For decades, this business model made sense, allowing Shopko to cater to a wide variety of needs in areas where there wasn't much big-box competition. However, now it's fighting for its life. The company's current plight resembles that of other retailers that have recently gone out of business. Like Toys R Us, Shopko ended up with too much debt as a result of being taken private more than a decade ago. And like small-market department store Bon-Ton, Shopko faced a much tougher competitive landscape after e-commerce went mainstream. Management said it's closing additional stores to make Shopko more attractive for its upcoming bankruptcy auction. Discussions with potential buyers and investors indicated that there would be more interest if the company focused on its best stores in its core markets. That said, operating a small chain of general merchandise stores profitably would be extremely challenging, given how competitive the market has become. Thus, there's a sizable chance that Shopko's attempt to emerge from bankruptcy as a smaller retailer will fail, leading to a full liquidation. That's the path Bon-Ton took last year. Shopko had annual sales of around $3 billion in 2017. Thus, if the company shrinks its store fleet by two-thirds or goes out of business entirely, it would put a lot of sales up for grabs. As was the case following Bon-Ton's liquidation, Kohl's is likely to pick up a meaningful share of Shopko's revenue, excluding the latter's grocery, pharmacy, and optical businesses. First, like Shopko, Kohl's offers a broad selection of name-brand and private-label apparel, footwear, and home goods. Thus, there is probably a good deal of customer overlap already. Second, both companies are headquartered in Wisconsin and have lots of stores in the Upper Midwest. In fact, while Shopko operates in about two dozen states, 231 of its stores -- about two-thirds of the current total -- are in Wisconsin, Michigan, Minnesota, Iowa, North Dakota, South Dakota, and Nebraska, including 76 in Wisconsin alone. While many Shopko stores are in smaller towns, Kohl's has pretty broad market coverage in this part of the country, especially compared with other department store chains. 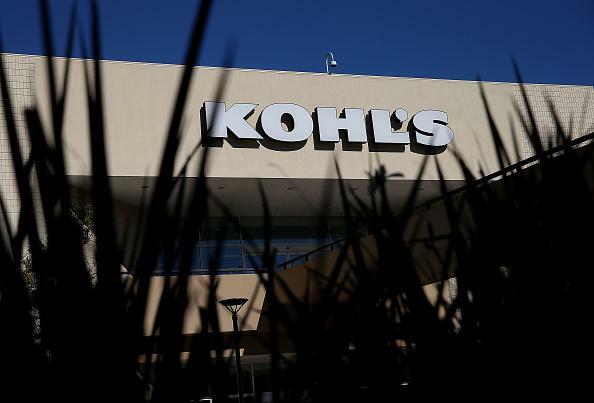 Kohl's will continue to see a sales tailwind from Bon-Ton's liquidation in the first half of fiscal 2019. Shopko's radical downsizing, which could eventually end in liquidation, should add to its sales momentum. Kohl's is already on track to post a nearly 2% comp sales increase for fiscal 2018, on top of a 1.5% gain a year earlier. Market share gains could help the retailer achieve another year of rising sales and strong earnings growth in 2019. Analysts currently expect Kohl's to post a 4% earnings-per-share gain in fiscal 2019 on a meager 1% uptick in sales. That's a big reason Kohl's stock trades for just 12 times earnings. Yet the company has a good chance to blow past those sales and earnings estimates in the coming year -- which could send Kohl's stock rocketing higher. John Mackey, CEO of Whole Foods Market, an Amazon subsidiary, is a member of The Motley Fool's board of directors. Adam Levine-Weinberg owns shares of Kohl's. The Motley Fool owns shares of and recommends Amazon. The Motley Fool has a disclosure policy.